As we leave another fun and wonderful Thanksgiving week in the past, the upcoming holidays are on our hearts and minds at the Astor House Bed and Breakfast. One of our favorite things to do each year is plan out the gifts we’re going to give. 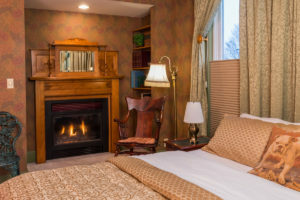 This year, consider giving a gift that means something truly special; gift someone special in your life a getaway to our romantic Bed and Breakfast in Green Bay, Wisconsin. The Astor House Bed and Breakfast, conveniently located near the best of Green Bay, is the perfect place to unwind, relax, and enjoy a quiet and delightful getaway this winter. 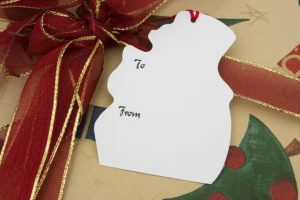 Make someone’s holiday extra special this year, and show them just how much they mean to you. Make a reservation, or call us to purchase a gift certificate to our Green Bay Bed and Breakfast today! Whether you plan to come for a Packer’s Game or just to explore the beautiful area of Green Bay, or whether you’d prefer to just sit back and relax while we pamper you in style, the Astor House Bed and Breakfast is the perfect place to spend some quality time this winter. From the moment you arrive, you’ll be whisked away to world of pure relaxation. Our Innkeeper is here to help every step of the way, and will provide the guidance you need to design your ideal getaway, whether that means arranging outdoor activities, dining, spa treatments, or just exploring Green Bay. Beyond exquisite hospitality, our suites are designed with your comfort in mind, each setting the stage perfectly for a romantic getaway. You’ll want for nothing during your time with us, which is the entire point of a getaway. So as you begin to check people off your holiday shopping list, consider adding a gift certificate from the Astor House Bed and Breakfast in Green Bay. It will be the highlight of their holiday. To purchase your gift certificate call us today.